Let’s face some simple facts here: If you’re getting the right amount of sleep every night, then you’re going to spend at least a third of your life underneath the covers. Plus, you’ve got to factor in all of the time you spend in the morning and evening getting ready for and getting out of bed. When you combine all that together, you’re spending a significant amount of time in your master bedroom. Shouldn’t it, then, be everything that it can be? That’s why we’ve decided to share these 25 beautiful master bedrooms with you. Each one demonstrates a unique way of designing the space, in terms of everything from furnishings and décor to materials and color schemes. While each may not appeal to your particular design sensibilities, at the very least you’ll see the full extend of what’s possible! Hopefully with that in mind, you’ll be able to design a master bedroom that you’re glad to wake up to every morning and that you’re glad to return to every night. So, come take a look at these amazingly beautiful master bedrooms with us! We promise you won’t be disappointed. The gold and brown color scheme of this beautiful master bedroom straddles the line between bright and subdued quite nicely. 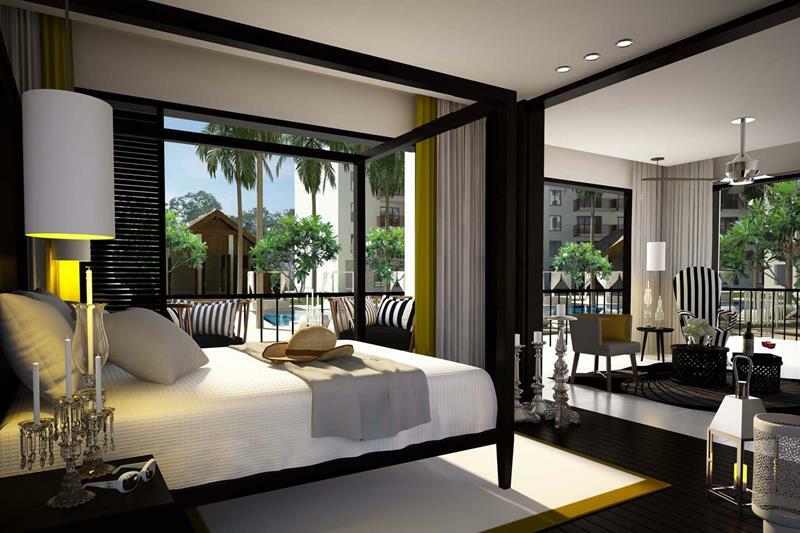 The black and white color scheme employed by this beautiful contemporary master bedroom is absolutely stunning. The white panels around the base of the walls in this master bedroom add a sense of whimsy and brightness to the design. 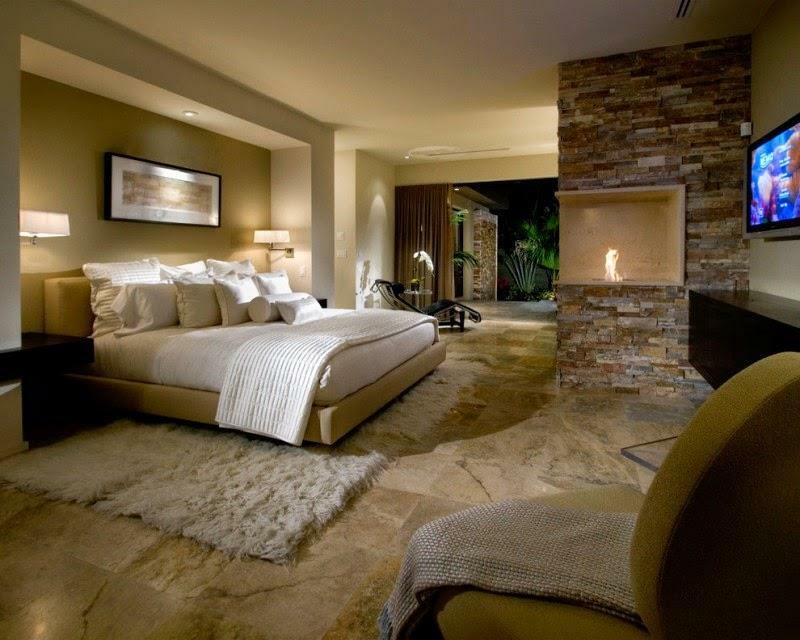 With beautiful stone tile flooring, this master bedroom adds warmth figuratively with its plush area rug and literally with the fireplace.